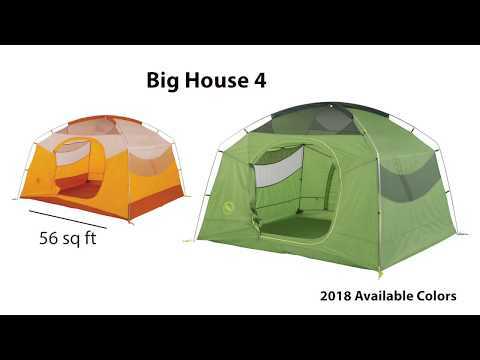 Big Agnes® has adapted the know-how and materials used to make their ultralight tents to making the Big House series. The result is a luxuriously spacious tent with plenty of head room at a very manageable weight and packed size. Just the ticket for base camps, or canoe trips with short, easy portages. A redesign gives it an updated shape with steeper walls for more interior living space. All seams are taped with waterproof, solvent-free polyurethane tape (contains no PVC or volatile organic compounds). Colour-coded webbing and buckles make it straightforward to set-up. Built-in gear loft loops and 10 mesh pockets keep your stuff organized. Side wall pockets are sized to hold iPads. Reflective guylines for nighttime visibility. Footprint and accessory vestibule sold separately.